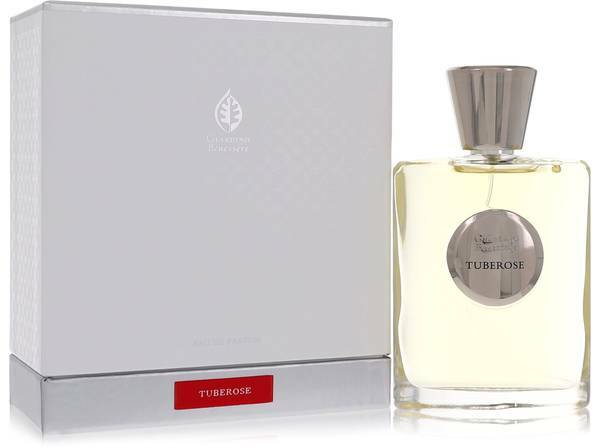 Giardino Benessere Tuberose Perfume by Giardino Benessere, Released in 2015, Giardino Benessere Tuberose offers an energetic fragrance for women and men. The scent has white floral, musky and tuberose main accords with a woody base. Top notes consist of ripe apricot, sweet orange and water jasmine. The heart continues the jasmine notes with ylang-ylang and tuberose. The base is woody and warm with musk, cedar and guaiac wood. Enhance your optimistic spirit and banish negative energy with the Read More Read More intense tuberose flower. The energetic bouquet is perfect for a spring or summer day when energy is abounding everywhere. Based in Italy, Giardino Benessere aims to capture the uniqueness of nature in every bottle. Each fragrance focuses on one specific mood enhancing essence. Use alone to embrace the moods created by each individual fragrance or combine for a scent all your own. The perfumes aim to be as unique and authentic as nature itself. Bring home an expression of the most selective and oldest perfume houses. All products are original, authentic name brands. We do not sell knockoffs or imitations.